Sunroof, 3rd Row Seat, NAV, DVD, Heated Leather Seats, Quad Seats, Alloy Wheels, All Wheel Drive. Touring 7-Passenger trim, Crystal Black Pearl exterior and Black interior. Warranty 5 yrs/60k Miles - Drivetrain Warranty; ABOUT US At Germain Honda of Ann Arbor, we believe in making your purchase experience a great one! That begins with helpful and friendly staff, and continues with an open and low-pressure experience. We are happy to help you find the best value and the best vehicle to meet your needs and budget! Inventory changes daily, so call one of our sales specialists today at (734) 219-6682 or visit us online at www.germainhonda-annarbor.com to see the most current pricing and selection! This all comes on this 2019 Honda Pilot Touring 7-Passenger! EXPERTS ARE SAYING Edmunds.com's review says "With ample power, a transmission offering full manual control and respectable handling, the Pilot is an athlete in the three-row SUV segment. It's a champ on mountain roads, and it can manage slippery surfaces should you opt for all-wheel drive.". . Includes All Season Protection Package, Body Side Molding, Cargo Net, Onboard Communications System, Alloy Wheels, All Wheel Drive, iPod/MP3 Input, Back-Up Camera. Warranty 5 yrs/60k Miles - Drivetrain Warranty; WHY BUY FROM GERMAIN OF ANN ARBOR? At Germain Honda of Ann Arbor, we believe in making your purchase experience a great one! That begins with helpful and friendly staff, and continues with an open and low-pressure experience. We are happy to help you find the best value and the best vehicle to meet your needs and budget! Inventory changes daily, so call one of our sales specialists today at (734) 219-6682 or visit us online at www.germainhonda-annarbor.com to see the most current pricing and selection! This all comes on this 2019 Honda HR-V Sport! EXPERTS ARE SAYING Edmunds.com explains "The steering has a pleasant and natural feel to it. It relays enough information about what the front tires are doing to give you confidence as you drive around turns. It's also an easy car with which to navigate a tight parking lot.". . Sunroof, 3rd Row Seat, NAV, DVD, Heated Leather Seats, Power Liftgate, Alloy Wheels, Rear Air. Touring trim, Pacific Pewter Metallic exterior and MOCHA interior. Warranty 5 yrs/60k Miles - Drivetrain Warranty; WHY BUY FROM GERMAIN OF ANN ARBOR? At Germain Honda of Ann Arbor, we believe in making your purchase experience a great one! That begins with helpful and friendly staff, and continues with an open and low-pressure experience. We are happy to help you find the best value and the best vehicle to meet your needs and budget! Inventory changes daily, so call one of our sales specialists today at (734) 219-6682 or visit us online at www.germainhonda-annarbor.com to see the most current pricing and selection! This all comes on this 2019 Honda Odyssey Touring! EXPERTS ARE SAYING Edmunds.com's review says "No SUV can match the 2019 Honda Odyssey for ease of use or flexibility. It doesn't hurt that the Odyssey comes standard with a strong V6 and comfortable seats. ". .
Includes All Season Protection Package, Body Side Molding, Fender Emblems, Running Boards, Sport Exhaust Finisher, Sunroof, Heated Leather Seats, Alloy Wheels, All Wheel Drive, Turbo Charged, Power Liftgate. Warranty 5 yrs/60k Miles - Drivetrain Warranty; WHY BUY FROM GERMAIN OF ANN ARBOR? At Germain Honda of Ann Arbor, we believe in making your purchase experience a great one! That begins with helpful and friendly staff, and continues with an open and low-pressure experience. We are happy to help you find the best value and the best vehicle to meet your needs and budget! Inventory changes daily, so call one of our sales specialists today at (734) 219-6682 or visit us online at www.germainhonda-annarbor.com to see the most current pricing and selection! This all comes on this 2019 Honda CR-V EX-L! EXPERTS ARE SAYING Edmunds.com's review says "It makes family life easier with a cavernous cargo area, abundant back seat room, easily accessed LATCH anchors and more clever storage solutions than an Ikea. It will also keep you safe.". . Moonroof, Third Row Seat, Heated Leather Seats, Aluminum Wheels, Power Liftgate, Rear Air, Satellite Radio, Back-Up Camera. Deep Scarlet Pearl exterior and Beige interior, EX-L trim. Warranty 5 yrs/60k Miles - Drivetrain Warranty; ABOUT US At Germain Honda of Ann Arbor, we believe in making your purchase experience a great one! That begins with helpful and friendly staff, and continues with an open and low-pressure experience. We are happy to help you find the best value and the best vehicle to meet your needs and budget! Inventory changes daily, so call one of our sales specialists today at (734) 219-6682 or visit us online at www.germainhonda-annarbor.com to see the most current pricing and selection! This all comes on this 2019 Honda Odyssey EX-L! EXPERTS ARE SAYING Edmunds.com explains "No SUV can match the 2019 Honda Odyssey for ease of use or flexibility. It doesn't hurt that the Odyssey comes standard with a strong V6 and comfortable seats. ". .
Moonroof, Third Row Seat, Heated Leather Seats, Aluminum Wheels, All Wheel Drive, Power Liftgate, Back-Up Camera, Rear Air. Crystal Black Pearl exterior and Black interior, EX-L trim. Warranty 5 yrs/60k Miles - Drivetrain Warranty; WHY BUY FROM GERMAIN OF ANN ARBOR? At Germain Honda of Ann Arbor, we believe in making your purchase experience a great one! That begins with helpful and friendly staff, and continues with an open and low-pressure experience. We are happy to help you find the best value and the best vehicle to meet your needs and budget! 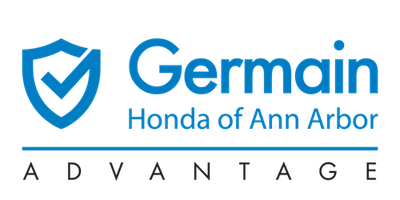 Inventory changes daily, so call one of our sales specialists today at (734) 219-6682 or visit us online at www.germainhonda-annarbor.com to see the most current pricing and selection! This all comes on this 2019 Honda Pilot EX-L! EXPERTS RAVE "With ample power, a transmission offering full manual control and respectable handling, the Pilot is an athlete in the three-row SUV segment. It's a champ on mountain roads, and it can manage slippery surfaces should you opt for all-wheel drive." -Edmunds.com. .
Sunroof, 3rd Row Seat, Navigation, DVD Entertainment System, Heated Leather Seats, Captains Chairs, Alloy Wheels, All Wheel Drive. Touring 7-Passenger trim, Crystal Black Pearl exterior and Black interior. Warranty 5 yrs/60k Miles - Drivetrain Warranty; WHY BUY FROM GERMAIN OF ANN ARBOR? At Germain Honda of Ann Arbor, we believe in making your purchase experience a great one! That begins with helpful and friendly staff, and continues with an open and low-pressure experience. We are happy to help you find the best value and the best vehicle to meet your needs and budget! Inventory changes daily, so call one of our sales specialists today at (734) 219-6682 or visit us online at www.germainhonda-annarbor.com to see the most current pricing and selection! This all comes on this 2019 Honda Pilot Touring 7-Passenger! EXPERTS ARE SAYING "With ample power, a transmission offering full manual control and respectable handling, the Pilot is an athlete in the three-row SUV segment. It's a champ on mountain roads, and it can manage slippery surfaces should you opt for all-wheel drive." -Edmunds.com. .
Moonroof, Third Row Seat, Heated Leather Seats, Aluminum Wheels, All Wheel Drive, Power Liftgate, Back-Up Camera, Rear Air. Crystal Black Pearl exterior and Gray interior, EX-L trim. Warranty 5 yrs/60k Miles - Drivetrain Warranty; ABOUT US At Germain Honda of Ann Arbor, we believe in making your purchase experience a great one! That begins with helpful and friendly staff, and continues with an open and low-pressure experience. We are happy to help you find the best value and the best vehicle to meet your needs and budget! Inventory changes daily, so call one of our sales specialists today at (734) 219-6682 or visit us online at www.germainhonda-annarbor.com to see the most current pricing and selection! This all comes on this 2019 Honda Pilot EX-L! EXPERTS CONCLUDE Edmunds.com's review says "With ample power, a transmission offering full manual control and respectable handling, the Pilot is an athlete in the three-row SUV segment. It's a champ on mountain roads, and it can manage slippery surfaces should you opt for all-wheel drive.". . LX trim, Obsidian Blue Pearl exterior and Gray interior. All Wheel Drive, Alloy Wheels, iPod/MP3 Input, Bluetooth, Back-Up Camera. Warranty 5 yrs/60k Miles - Drivetrain Warranty; ABOUT US At Germain Honda of Ann Arbor, we believe in making your purchase experience a great one! That begins with helpful and friendly staff, and continues with an open and low-pressure experience. We are happy to help you find the best value and the best vehicle to meet your needs and budget! Inventory changes daily, so call one of our sales specialists today at (734) 219-6682 or visit us online at www.germainhonda-annarbor.com to see the most current pricing and selection! This all comes on this 2019 Honda CR-V LX! EXPERTS CONCLUDE Edmunds.com explains "It makes family life easier with a cavernous cargo area, abundant back seat room, easily accessed LATCH anchors and more clever storage solutions than an Ikea. It will also keep you safe.". . Includes All Season Protection Package, Moonroof, Heated Leather Seats, Aluminum Wheels, Turbo Charged Engine, All Wheel Drive, Power Liftgate. Warranty 5 yrs/60k Miles - Drivetrain Warranty; ABOUT US At Germain Honda of Ann Arbor, we believe in making your purchase experience a great one! That begins with helpful and friendly staff, and continues with an open and low-pressure experience. We are happy to help you find the best value and the best vehicle to meet your needs and budget! Inventory changes daily, so call one of our sales specialists today at (734) 219-6682 or visit us online at www.germainhonda-annarbor.com to see the most current pricing and selection! This all comes on this 2019 Honda CR-V EX-L! EXPERTS CONCLUDE Edmunds.com explains "It makes family life easier with a cavernous cargo area, abundant back seat room, easily accessed LATCH anchors and more clever storage solutions than an Ikea. It will also keep you safe.". . Includes All Season Protection Package, Moonroof, 3rd Row Seat, Heated Leather Seats, Power Liftgate, All Wheel Drive, Alloy Wheels. Warranty 5 yrs/60k Miles - Drivetrain Warranty; WHY BUY FROM GERMAIN OF ANN ARBOR? At Germain Honda of Ann Arbor, we believe in making your purchase experience a great one! That begins with helpful and friendly staff, and continues with an open and low-pressure experience. We are happy to help you find the best value and the best vehicle to meet your needs and budget! Inventory changes daily, so call one of our sales specialists today at (734) 219-6682 or visit us online at www.germainhonda-annarbor.com to see the most current pricing and selection! This all comes on this 2019 Honda Pilot EX-L! EXPERTS CONCLUDE Edmunds.com's review says "With ample power, a transmission offering full manual control and respectable handling, the Pilot is an athlete in the three-row SUV segment. It's a champ on mountain roads, and it can manage slippery surfaces should you opt for all-wheel drive.". . Alloy Wheels, iPod/MP3 Input, All Wheel Drive, Bluetooth, Back-Up Camera. Basque Red Pearl II exterior and Gray interior, LX trim. Warranty 5 yrs/60k Miles - Drivetrain Warranty; WHY BUY FROM GERMAIN OF ANN ARBOR? At Germain Honda of Ann Arbor, we believe in making your purchase experience a great one! That begins with helpful and friendly staff, and continues with an open and low-pressure experience. We are happy to help you find the best value and the best vehicle to meet your needs and budget! Inventory changes daily, so call one of our sales specialists today at (734) 219-6682 or visit us online at www.germainhonda-annarbor.com to see the most current pricing and selection! This all comes on this 2019 Honda CR-V LX! EXPERTS CONCLUDE Edmunds.com's review says "It makes family life easier with a cavernous cargo area, abundant back seat room, easily accessed LATCH anchors and more clever storage solutions than an Ikea. It will also keep you safe.". . Includes All Season Protection Package, Bluetooth, Alloy Wheels, All Wheel Drive, iPod/MP3 Input, Back-Up Camera. Warranty 5 yrs/60k Miles - Drivetrain Warranty; ABOUT US At Germain Honda of Ann Arbor, we believe in making your purchase experience a great one! That begins with helpful and friendly staff, and continues with an open and low-pressure experience. We are happy to help you find the best value and the best vehicle to meet your needs and budget! Inventory changes daily, so call one of our sales specialists today at (734) 219-6682 or visit us online at www.germainhonda-annarbor.com to see the most current pricing and selection! This all comes on this 2019 Honda CR-V LX! EXPERTS REPORT Edmunds.com's review says "It makes family life easier with a cavernous cargo area, abundant back seat room, easily accessed LATCH anchors and more clever storage solutions than an Ikea. It will also keep you safe.". . Includes All Season Protection Package, Bluetooth, Alloy Wheels, All Wheel Drive, iPod/MP3 Input, Back-Up Camera. Warranty 5 yrs/60k Miles - Drivetrain Warranty; WHY BUY FROM GERMAIN OF ANN ARBOR? At Germain Honda of Ann Arbor, we believe in making your purchase experience a great one! That begins with helpful and friendly staff, and continues with an open and low-pressure experience. We are happy to help you find the best value and the best vehicle to meet your needs and budget! Inventory changes daily, so call one of our sales specialists today at (734) 219-6682 or visit us online at www.germainhonda-annarbor.com to see the most current pricing and selection! This all comes on this 2019 Honda CR-V LX! EXPERTS CONCLUDE Edmunds.com's review says "It makes family life easier with a cavernous cargo area, abundant back seat room, easily accessed LATCH anchors and more clever storage solutions than an Ikea. It will also keep you safe.". . OEM Splash Guards and 3M Coating. Moonroof, Third Row Seat, Heated Leather Seats, Entertainment System, Nav System, Power Liftgate, Aluminum Wheels, Rear Air. Touring trim, Crystal Black Pearl exterior and Gray interior. Warranty 5 yrs/60k Miles - Drivetrain Warranty; ABOUT US At Germain Honda of Ann Arbor, we believe in making your purchase experience a great one! That begins with helpful and friendly staff, and continues with an open and low-pressure experience. We are happy to help you find the best value and the best vehicle to meet your needs and budget! Inventory changes daily, so call one of our sales specialists today at (734) 219-6682 or visit us online at www.germainhonda-annarbor.com to see the most current pricing and selection! This all comes on this 2019 Honda Odyssey Touring! EXPERTS RAVE Edmunds.com explains "No SUV can match the 2019 Honda Odyssey for ease of use or flexibility. It doesn't hurt that the Odyssey comes standard with a strong V6 and comfortable seats. ". .
Includes All Season Protection Package, Third Row Seat, Bluetooth, Aluminum Wheels, Captains Chairs, iPod/MP3 Input, Back-Up Camera. Warranty 5 yrs/60k Miles - Drivetrain Warranty; WHY BUY FROM GERMAIN OF ANN ARBOR? At Germain Honda of Ann Arbor, we believe in making your purchase experience a great one! That begins with helpful and friendly staff, and continues with an open and low-pressure experience. We are happy to help you find the best value and the best vehicle to meet your needs and budget! Inventory changes daily, so call one of our sales specialists today at (734) 219-6682 or visit us online at www.germainhonda-annarbor.com to see the most current pricing and selection! This all comes on this 2019 Honda Odyssey LX! EXPERTS CONCLUDE Edmunds.com explains "No SUV can match the 2019 Honda Odyssey for ease of use or flexibility. It doesn't hurt that the Odyssey comes standard with a strong V6 and comfortable seats. ". .
Includes All Season Protection Package, 3rd Row Seat, Bluetooth, Alloy Wheels, Quad Seats, iPod/MP3 Input, Back-Up Camera. Warranty 5 yrs/60k Miles - Drivetrain Warranty; WHY BUY FROM GERMAIN OF ANN ARBOR? At Germain Honda of Ann Arbor, we believe in making your purchase experience a great one! That begins with helpful and friendly staff, and continues with an open and low-pressure experience. We are happy to help you find the best value and the best vehicle to meet your needs and budget! Inventory changes daily, so call one of our sales specialists today at (734) 219-6682 or visit us online at www.germainhonda-annarbor.com to see the most current pricing and selection! This all comes on this 2019 Honda Odyssey LX! EXPERTS ARE SAYING Edmunds.com's review says "No SUV can match the 2019 Honda Odyssey for ease of use or flexibility. It doesn't hurt that the Odyssey comes standard with a strong V6 and comfortable seats. ". .
Includes All Season Protection Package, Moonroof, Third Row Seat, Heated Leather Seats, Aluminum Wheels, All Wheel Drive, Power Liftgate. Warranty 5 yrs/60k Miles - Drivetrain Warranty; WHY BUY FROM GERMAIN OF ANN ARBOR? At Germain Honda of Ann Arbor, we believe in making your purchase experience a great one! That begins with helpful and friendly staff, and continues with an open and low-pressure experience. We are happy to help you find the best value and the best vehicle to meet your needs and budget! Inventory changes daily, so call one of our sales specialists today at (734) 219-6682 or visit us online at www.germainhonda-annarbor.com to see the most current pricing and selection! This all comes on this 2019 Honda Pilot EX-L! EXPERTS REPORT Edmunds.com's review says "With ample power, a transmission offering full manual control and respectable handling, the Pilot is an athlete in the three-row SUV segment. It's a champ on mountain roads, and it can manage slippery surfaces should you opt for all-wheel drive.". . Includes All Season Protection Package, Sunroof, 3rd Row Seat, NAV, Heated Leather Seats, All Wheel Drive, Alloy Wheels. Warranty 5 yrs/60k Miles - Drivetrain Warranty; WHY BUY FROM GERMAIN OF ANN ARBOR? At Germain Honda of Ann Arbor, we believe in making your purchase experience a great one! That begins with helpful and friendly staff, and continues with an open and low-pressure experience. We are happy to help you find the best value and the best vehicle to meet your needs and budget! Inventory changes daily, so call one of our sales specialists today at (734) 219-6682 or visit us online at www.germainhonda-annarbor.com to see the most current pricing and selection! This all comes on this 2019 Honda Pilot EX-L! EXPERTS ARE SAYING Edmunds.com explains "With ample power, a transmission offering full manual control and respectable handling, the Pilot is an athlete in the three-row SUV segment. It's a champ on mountain roads, and it can manage slippery surfaces should you opt for all-wheel drive.". . Moonroof, Heated Leather Seats, Satellite Radio, Aluminum Wheels, Turbo Charged, All Wheel Drive, Back-Up Camera, Power Liftgate. Lunar Silver Metallic exterior and Gray interior, EX-L trim. Warranty 5 yrs/60k Miles - Drivetrain Warranty; ABOUT US At Germain Honda of Ann Arbor, we believe in making your purchase experience a great one! That begins with helpful and friendly staff, and continues with an open and low-pressure experience. We are happy to help you find the best value and the best vehicle to meet your needs and budget! Inventory changes daily, so call one of our sales specialists today at (734) 219-6682 or visit us online at www.germainhonda-annarbor.com to see the most current pricing and selection! This all comes on this 2019 Honda CR-V EX-L! EXPERTS ARE SAYING Edmunds.com explains "It makes family life easier with a cavernous cargo area, abundant back seat room, easily accessed LATCH anchors and more clever storage solutions than an Ikea. It will also keep you safe.". .